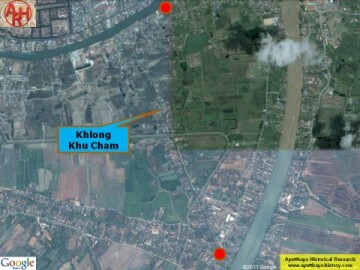 latter’s confluence with the Chao Phraya River. 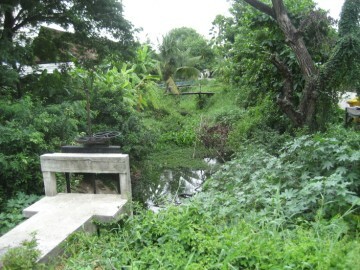 while on the opposite side of the canal stood a prayer house (Surau Khaek). 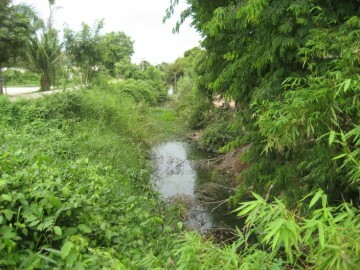 Cham (Rivière du Grand Cochan). southern and central Vietnam. 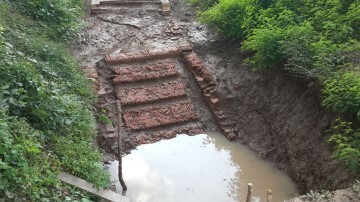 Champa reached its apex in the 9th and 10th centuries. 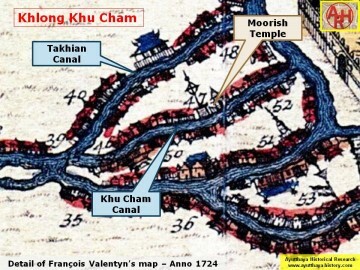 defeat caused the first major Cham emigration, particularly to Cambodia and Melaka. rulers of Melaka, who appointed some Cham noblemen to official positions in the court. and took refuge in Siam. since 1558. 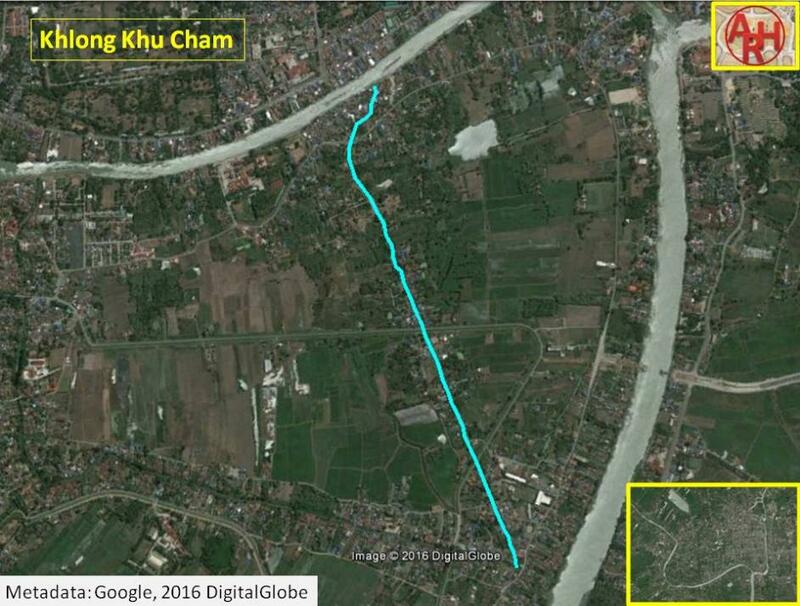 The campaign ended with the defeat of the Cham in the first month of 1693.
was able to escape the king's wrath by crossing the Lopburi River to Patha Khu Cham. silver, and even of dwelling sites, so they might live in happiness. Along the northern part of Khlong Khu Cham there were quite a lot of Buddhist temples. Thong, Wat Khok Sung, Wat Wihan Khian and Wat Tha Hoi. 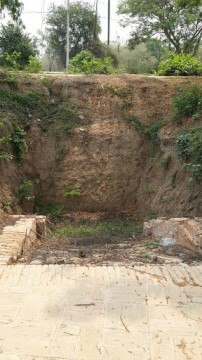 this temple on the east bank of Wat Khu Cham, more or less opposite of the graveyard. Khaek mentioned on a mid-19th century map. 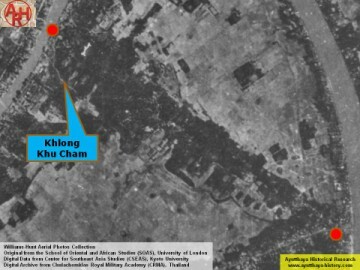 (1) In the Ayutthayan era, the present Chao Phraya River was in fact the Lopburi River. See the essay: Ayutthaya's Ever-changing Waterways. (2) Most of the fortresses stood at the confluences of rivers and canals around the city. elbow is approx 50 cm, while a Wa is 2 meters. Michael Vickery (June 2004) page 6, 57. The Introduction of Islam into Champa - Pierre Yves Manguin - JMBRAS, Vol. LVIII, Part 1, 1985, page 1. Paris (AMEP), Vol. 734, and letters by the Bishop of Heliopolis, AMEP, Vol. 735, pp. Centuries - Danny Wong Tze Ken (2004). (2006) - The Asia Pacific Journal of Anthropology Vol. 7, No. 3, December 2006. กัลยาณมิตร (2005) - page 21. Source: Royal Autograph - Events in Ava - War with China.